As our project comes to an end, Project Officer Felicia Davies reflects on what we’ve achieved in this concluding blog. 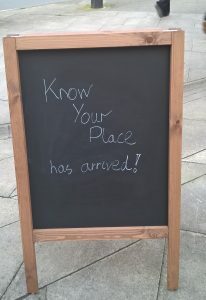 Having had the privilege of managing the delivery of the Know Your Place – West of England project, I am delighted to have the last word – and blog – of the project. This is a chance to take stock on how far we’ve come, celebrate what has been achieved, but also to look to the future for Know Your Place, and the parts we each can continue to play helping Know Your Place grow as a rich heritage resource for everyone. 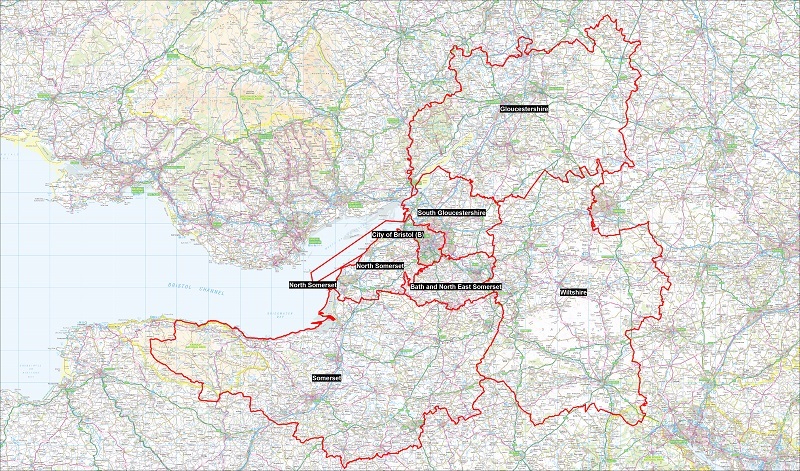 We have expanded Know Your Place from its roots in Bristol, to span a further six counties across the West of England. As a consequence, a vast stretch of our landscape and its heritage is now mapped on Know Your Place. Think about that for a moment. From its original coverage of the 40 square miles of Bristol, we have built a mapping resource that now spans 4689 square miles (12149 km) – More than 100 times its original area! It stretches from the mines in the Forest of Dean to the stone circle of Avebury, the Grand Pier at Weston-Super Mare to the railway works at Swindon. From mill towns to Georgian spas, Cotswolds Hills to the Somerset levels, the rich heritage of the region is now more accessible online in one place. And we haven’t mapped it just once but multiple times. Covering all those square miles are nearly 250 years’ of historic maps, from eighteenth-century Enclosure maps to modern digital maps, and a comprehensive range of basemap layers representing the period in between. These have come from 9 separate map collections supplied by British Library, National Library Scotland, and regional archives Wells County Council, CHAC in Yeovil, Bath Records Office, Gloucestershire Archives, Wiltshire & Swindon History Centre and Somerset Archives; and the Bodelian library. We have also been supplied with Historic Environment Record data from all six counties in the newly mapped area, making the archaeological record, listed buildings and monuments data for those areas more publicly available. Over the past 18 months since the first new county of South Gloucestershire was mapped, Know Your Place in the West of England has been visited by 49,619 users, of which 22,267 have been new users. And a whopping 1573 public contributions have been published alongside the historic maps and heritage data, making this grow into a vibrant community resource for everyone to use. Our online and touring exhibition contains content from c.22 collections that visited 12 venues and reached an estimated 40,000 visitors to those sites. Our free downloadable Learning Pack for key stages 2, 3 and 4 was developed with a range of educators and has been downloaded by 184 people in the first three weeks! 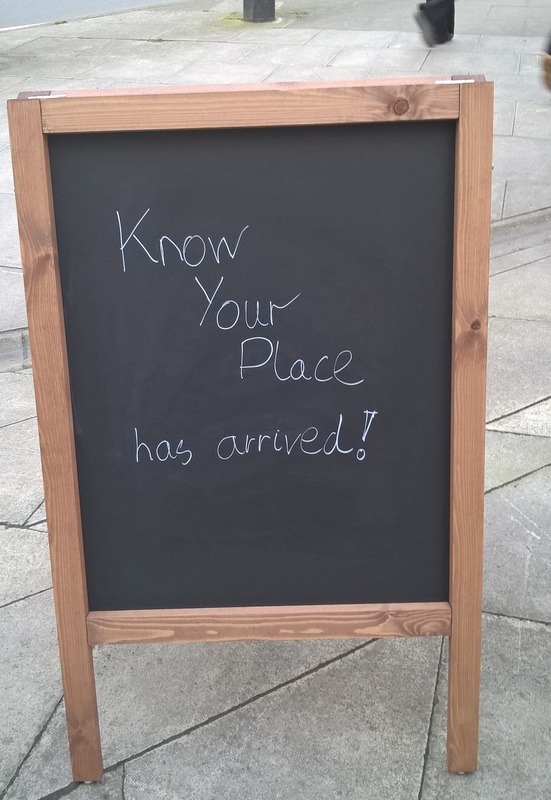 We have trained individuals from 121 organisations in using Know Your Place to map their organisation’s heritage information, and this is starting to appear online now. Thanks to our amazing project team within South Gloucestershire Council, with a technical team in Bristol City Council, for your exceptional hard work, dedication and creative problem-solving to deliver such an ambitious project. Two years ago, we started the project with a core of partners in 19 organisations. We have now brought more than 35 organisations into the ‘Know Your Place’ fold and it will be exciting to see how the list of those involved continues to grow over coming months and years. Thanks to our project partners who have given practical help such as hosting meetings and events, and been generous with their time allowing their heritage collections to be raided and their brains to be picked. They have contributed professional expertise and time worth an estimated £177,113 to the project. I have left the most important group to thank to last – our volunteers. We have worked with more than 100 individuals who volunteered for the project during the past two years. Altogether they have donated an estimated 4946 hours – or 707 days – of their time to the project. I call it a donation, because if we monetise that using HLF figures for the value of volunteer work, it is equivalent to £106,050 – and counting, as volunteering opportunities for the legacy of Know Your Place continue. And it is not just about the hours. Thank you our volunteers for so many things: being guinea-pigs as we tested out a work methodology, for your patience as systems crashed, for our constructive criticism as we got them up and running again, for your willingness to learn new things and most importantly, for sharing your enthusiasm about Know Your Place with others. From day one, there has been a tremendous amount of goodwill invested in this project – even when partners weren’t being quite sure what they signed up for! Colleagues have been so flexible in doing what was needed to move the project forward, even if that involved working over Christmas, delivering events on weekends and evenings, attending meetings on their days off, or couriering hard drives around the country! So many individuals and organisations have voluntarily gone above-and-beyond to support this project, and I think that this tells us a great deal about how special Know Your Place really is. 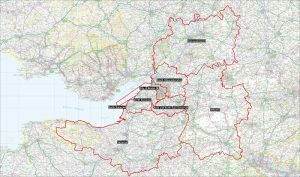 The West of England has been put on the map, but the real heritage mapping is still to come, as more people come to use and contribute to Know Your Place. I can’t wait to watch the map grow over coming years and am excited to see what new projects and partnerships it triggers. I hope we all feel the same, as we all have our parts to play in ensuring this happens. So thank you in advance, for your ongoing support of Know Your Place, for putting your local heritage on the map, and for helping it grow into a rich heritage resource for everyone.